The compact Monopod chair by Jasper Morrison adds a sculptural dimension. 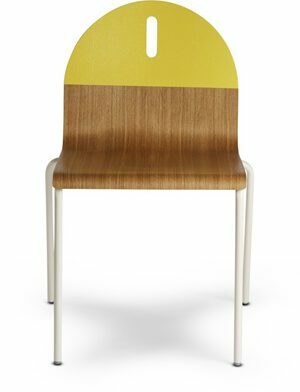 Its upholstered plastic shell structure has a heavily weighted base, guaranteeing stability. Despite the apparent simplicity of its design, Monopod is surprisingly very comfortable.